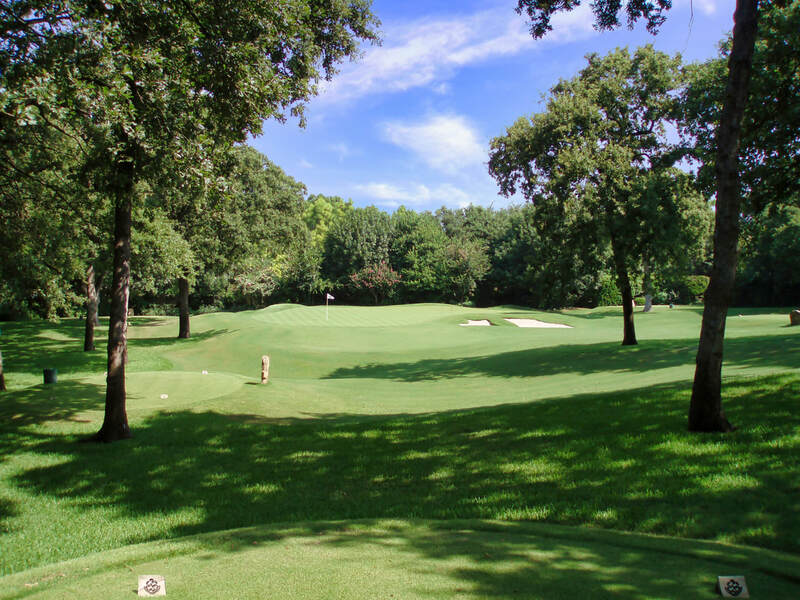 Woodcrest Estate Golf Course features nine different tees playing to a 6,000 square foot green. Tee shots range from 30 to 90 yards. 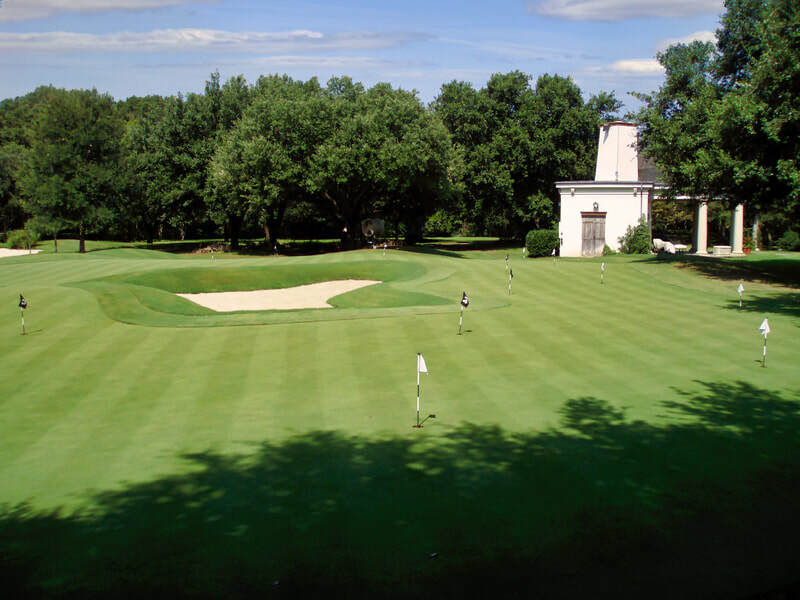 A seperate putting course and short game green round out this backyard golf course.